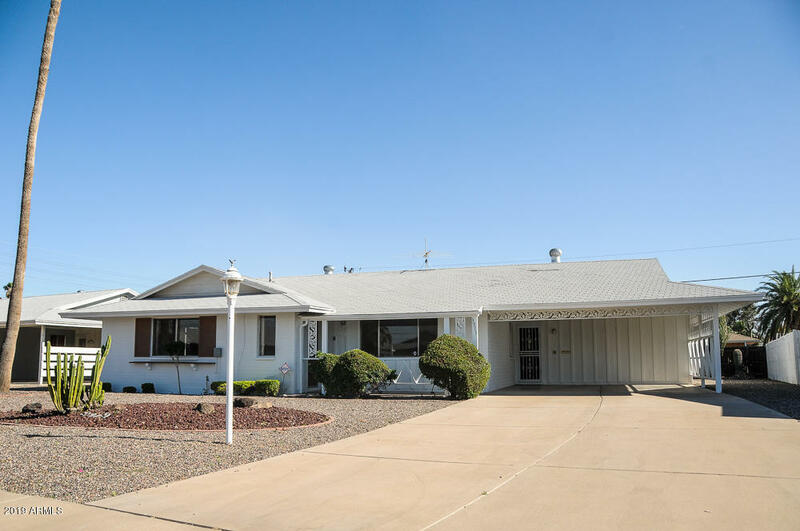 Cute, well-kept 2-bedroom home in Sun City! This home offers extra living space in the enclosed Arizona room. North/South exposure so that you can enjoy your mornings and evenings in the backyard. This floorplan includes an eat-in kitchen, formal dining room and formal living. A bonus is the oversized laundry room with an abundance of storage. Outside you will find a 2-car carport and additional storage. New exterior paint and move-in ready!